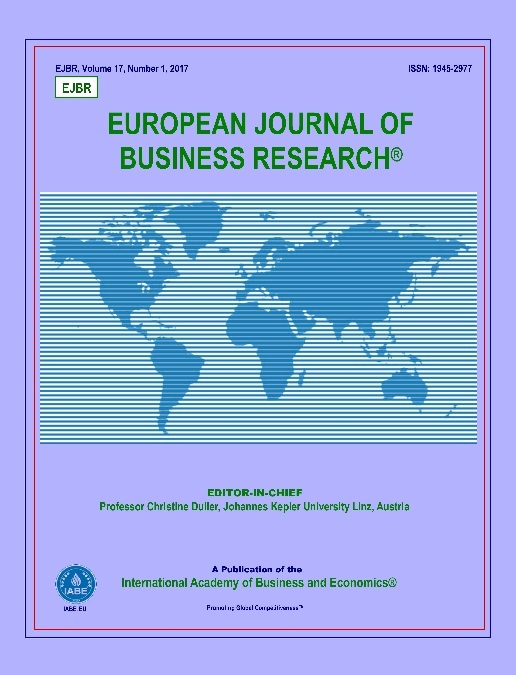 The Journal of International Business and Economics (JIBE) is a peer reviewed journal published by the IABE. 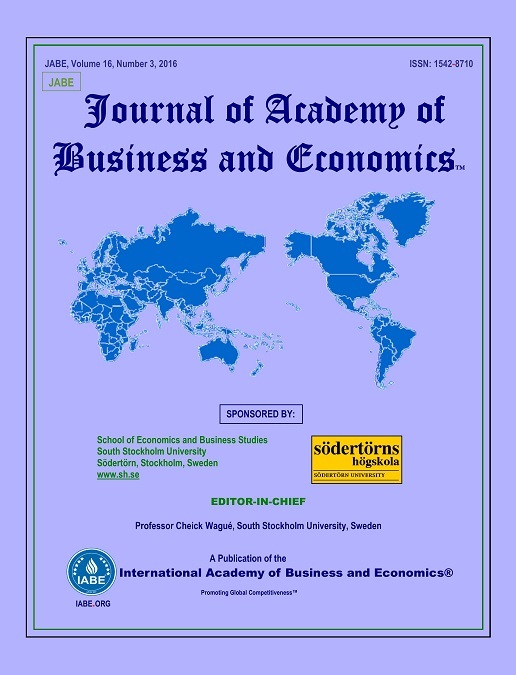 Journal of International Business and Economics (JIBE) is an academic journal published by the International Academy of Business and Ecomomics. The aim of JIBE is to provide relevant articles in the business and economics fields in order to help the business community make the best decisions and to help the academic community improve business research methods. Frequency: There are 2 issues of JIBE published each year. They publish in March and October. Occasionally this journal publishes special issues on specific topics related to the focus of the journal. and include the following information. 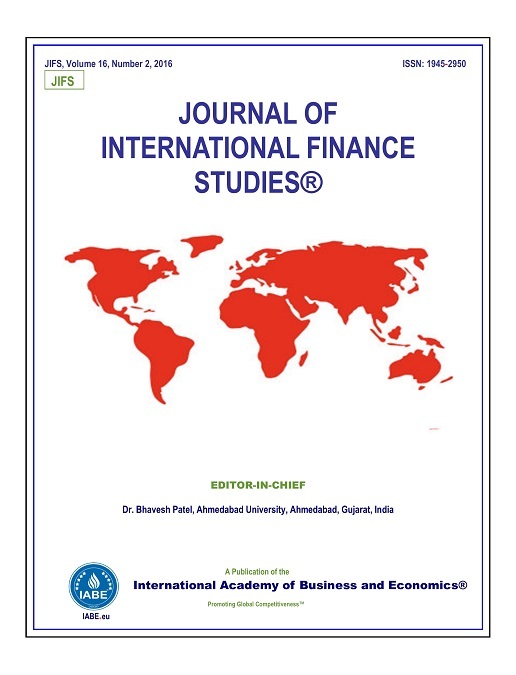 The journal focuses on the following topics: International Economics, International Trade, Electronic Commerce, Taxation, Cost-Benefit Analysis, Business and Economic Forecasting, Competing in Global Markets, Business Ethics, National Markets, Regional Economic Issues, and Emerging Markets. Experts from all over the world are welcome to present different aspects of the business environment. The journal will promote articles with high visibility in the international scientific community. 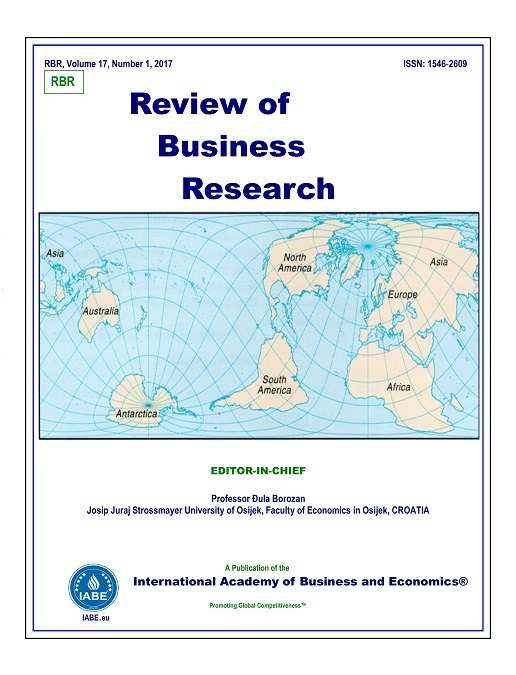 All articles published in Journal of International Business and Economics undergo a rigorous, double-blind, peer review process by leading experts. The review process normally takes 4 to 8 weeks. When the review process is complete, the editor will inform the author(s) about the results of the evaluation process. Based on each reviewer evaluation, the Editor will accept the manuscript for publication (without any improvement, with minor revision, with major revisions) or will reject it. 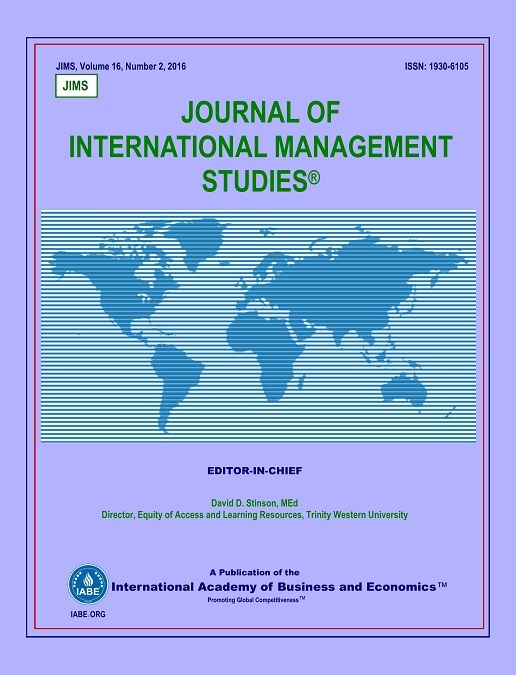 If a paper/case is accepted for the Journal of International Business and Economics, the author(s) is invited to submit the final manuscript for publication in JIBE and to present the paper at one of the IABE Conferences. Editors will verify that the final manuscript includes all changes requested by reviewers and that it meets all other requirements before publication. 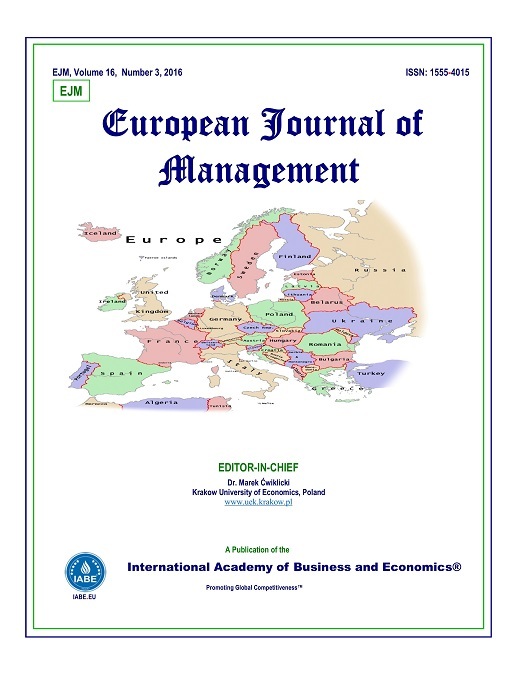 The Journal of International Business and Economics (JIBE) is an academic journal published by the International Academy of Business and Ecomomics. Frequency: There are 2 issues of JIBE published each year. They publish in March and October. In some cases, it is possible for there to be a special issue of JIBE. 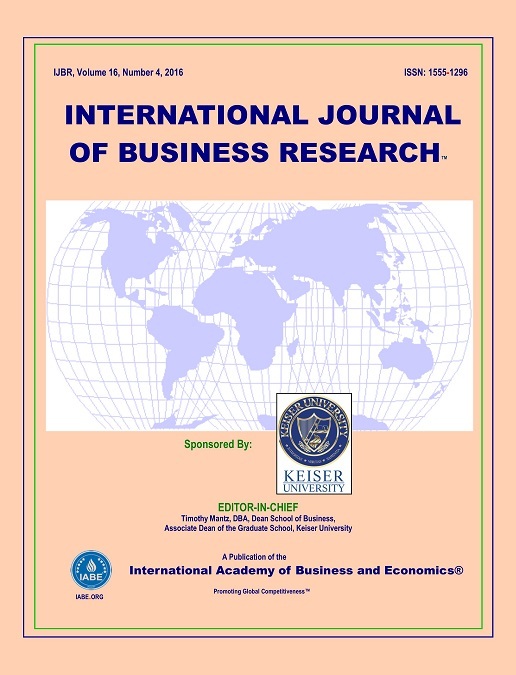 The Journal of International Business and Economics is published by the International Academy of Business and Economics (IABE), along with 10 other refereed journals. The mission of the IABE is to be the premier international scholarly academy for exchange and advancement of research, teaching, and managerial best practices in all fields of business and economics. In order to accomplish its mission, the IABE organizes and holds conferences for participants from all over the world. The IABE promotes the exchange of ideas in research, teaching, and managerial practices through formal presentations of research, discussions, semianars, and publication of scholarly journals. In appreciation for their support, the IABE would like to thank the following Universities for helping to organize its upcoming and past conferences. For over 35 years, Keiser University has maintained a practical, hands-on approach to career-focused education to help its students achieve their personal and professional goals. 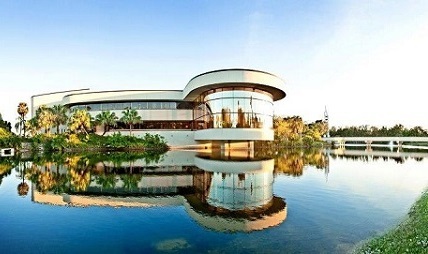 Its student-centered philosophy remains at the foundation of Keiser University’s mission and continues to attract students who prefer a more personal learning experience. New York Institute of Technology is accredited by the Middle States Commission on Higher Education and chartered by the Board of Regents of the State University of New York; our individual programs and schools as well as our global campuses also have prestigious accreditations. The University of Sassari was founded in 1558 by Alessio Fontana, a distinguished gentleman of the Town of Sassari. The official launch dates back to May 1562, when the Jesuits started. Today, this medium-sized University, with over 10,000 students and around 700 scholars, consists of 11 Departments, which also collaborate with a number of academic and research centers and institutes. In addition to its 50+ institutional courses, it also offers a wide range of post-graduate study and research activities, including PhD courses, medical specialization schools, advanced training programs and international exchange projects. The University of Pisa is a public institution boasting twenty departments, with high level research centres in the sectors of agriculture, astrophysics, computer science, engineering, medicine and veterinary medicine. Furthermore the University has close relations with the Pisan Institutes of the National Board of Research, with many cultural institutions of national and international importance, and with industry, especially that of information technology, which went through a phase of rapid expansion in Pisa during the nineteen sixties and seventies. The University of Pisa was officially established in 1343 and ranks high in most international rankings. According to the most recentAcademic Ranking of World Universities (ARWU) 2014 released by the Shanghai JaoTong University, the University of Pisa ranks first among Italian Universities and among the top 200 universities in the world. The University of Florence has its origins in the General Studium that the Florentine republic wanted to give birth in 1321. Today the University of Florence is one of the largest organizations for research and higher education in Italy, with 1,800 professors and researchers structured, some 1,600 technical and administrative, and more than 1,600 PhD students and postdocs. 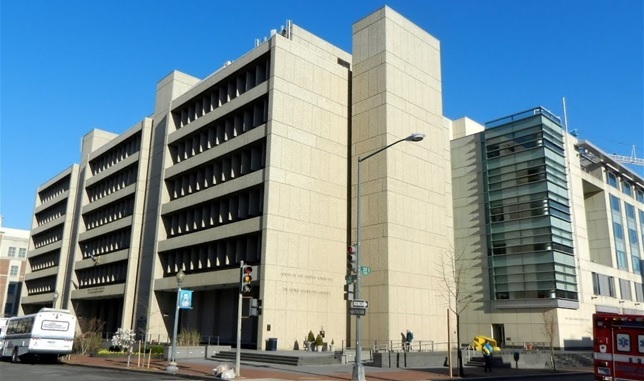 Today, GW is the largest institution of higher education in the District of Columbia. We have more than 26,000 students—from all 50 states, the District and 130 countries—studying a rich range of disciplines: from forensic science and creative writing to international affairs and computer engineering, as well as medicine, public health, the law and public policy. We strive to provide an environment where knowledge is created and acquired and where creative endeavors seek to enrich the experiences of the global society. With ten schools and colleges and nearly 100 research centers and institutes, our students receive hands-on experience as they explore nearly any avenue of personal interest. The depth and breadth of our academic programs, the exceptional qualifications of our full-time faculty, the unmatched experiences of our adjunct faculty and the strengths of our research initiatives allow our students, our faculty and our staff to look at the world beyond the classroom. They allow us to prepare the next generation of leaders. 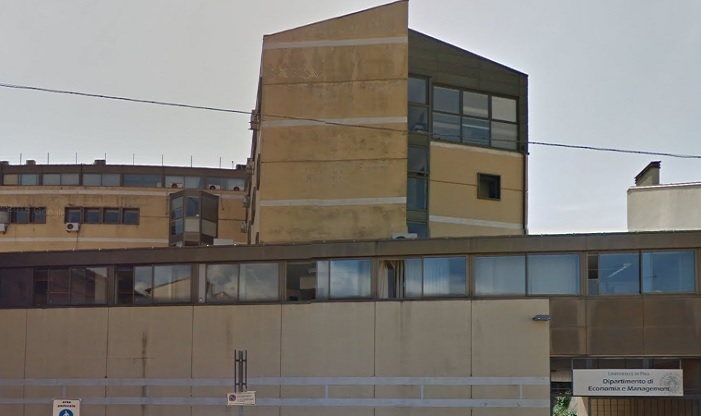 The University of Roma Tre was established in 1992, it is the "youngest university" in Rome and has forty thousand students enrolled. There are 12 departments that offer courses of Degree / Master's Degree, Educational Courses, Doctoral research, doctoral schools and graduate schools. In the implementation of the new educational offer, defined according to the needs of a labor market that has European and international dimension, Roma Tre is fully engaged in offering training programs that achieve high levels of professional specialization and research training. Roma Tre is a vital lever of urban development of the capital. It is an active center of cultural production at the international dimension; dedicating energy and resources to the design and organization of conferences and seminars, which are opportunities for reflection and meeting with leading figures in the field of culture, research and social and political commitment. The University of Verona is dedicated to innovation and to maintaining the high quality of its teaching and research. The institution has 22,000 students, and 1,500 teaching and non-teaching staff all dedicated to a continual process of growth and to the development of human, structural and financial resources. The University has strong links to the local community and looks to the future through its constant strengthening of the link between courses offered and the world of work. 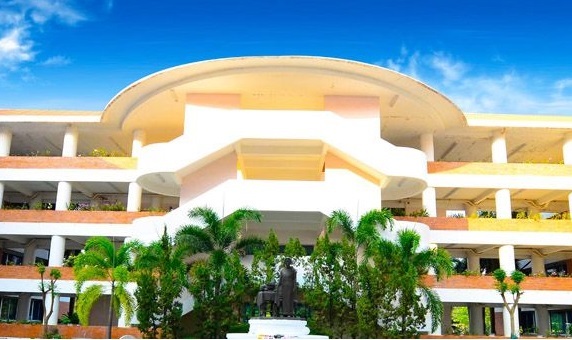 In the immediate future, one of the University’s principle objectives is to continue building its program in order to create an improved and welcoming environment. 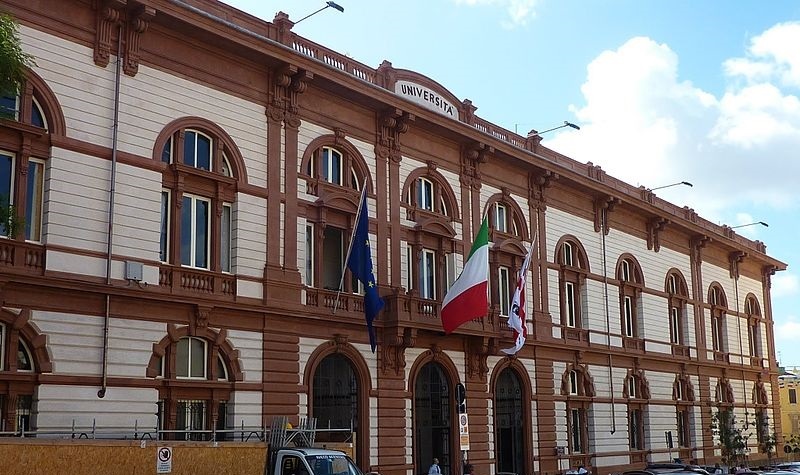 In the QS World University Rankings 2014/15 Verona University it is ranked among the top 800 universities in the world, of which only 26 are Italian. 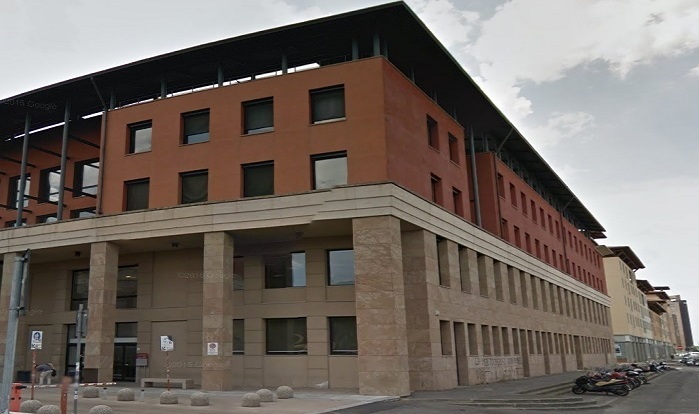 A special award is given for the quality of research, especially in the medical area, for which the University of Verona is one of the top 200 worldwide. With 18 faculties, 2 colleges and 1 school currently operating, MSU has been widely recognized as one of Thailand’s fastest-growing universities. The total enrollment has also increased, from fewer than 10,000 in its earlier years to more than 40,000 students at present. To further extend its academic services to remote communities, the University now has 15 academic service centers in Northeastern provinces of Thailand. To learn more about IABE, go to www.iabe.org or www.iabe-doi.org. Dr. C. B. Claiborne, Texas Souther University, Houson, Texas, U.S.A.
Dr. George Heilman, Winston-Salem State University, Winston-Salem, North Carolina, U.S.A.
Dr. Stacy R. Barnes, Averett University, Danville, U.S.A.
Dr. Scott K. Metlen, University of Idaho, Moscow, Idaho, U.S.A.
Dr. Asayehgn Desta, Dominican University of California, USA, U.S.A.
Dr. Omar Khan, Morgan State University, U.S.A. The IABE will explicitly ask when it needs information that personally identifies anyone ("personal information"). When possible, the IABE will provide users with the means to make sure that personal information is correct and current. The IABE uses personal information to operate its websites, to provide services, and to provide updates regarding our upcoming conferences and publications. The IABE will not share anyones personal information with any outside organization (a "secondary use") unless it is necassary for a registered (paid) attendee of one of our conferences. As an example, when holding conferences, the IABE often partners with Universities such as the New York Institute of Technology or Keiser University. 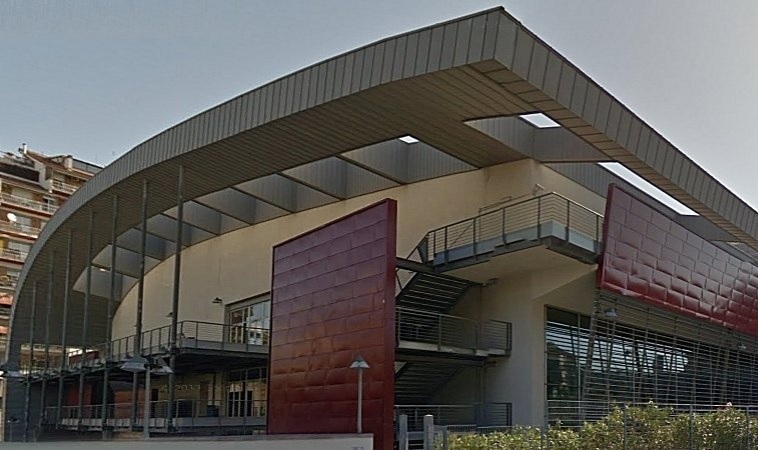 In such cases, where the event is held at the campus, the IABE may need to supply a list of attendees to the University in order for them to gain access to the event. The IABE may disclose personal information if required to do so by law or in the good-faith belief that such action is necessary to (a) comply with applicable law or with legal process served on the IABE or one of its websites; (b) protect and defend the rights or property of (name of franchisee) or the IABE, and (c) act under exigent circumstances to protect the personal safety of users of IABE's services, websites, or the public. If at any time a customer believes that the IABE has not adhered to these principles, please notify the IABE at admin@iabe.org and we will use all commercially reasonable efforts to promptly determine and correct the problem. Users should also be aware that information and data may be automatically collected through the standard operation of our Internet servers and through the use of "cookies". 1. The paper is sent to two industry experts for double-blind review. This normally takes 4 to 8 weeks. 2. The reviewers will accept the paper as is, with minor revisions, or with major revisions or they will reject it. 3. If both reviewers accept a paper but one or both reviewers accept it on the condition that minor or major revisions are made, the editor will notify the author(s). 4. Once the author(s) submit a final version of their paper, the editor will verify that all revisions have been made and formally accept the paper for publication in the Journal of International Business and Economics. There is no fee to submit a paper for review. However, the fee to publish an accepted paper is $75 USD + $35 USD per page. In order to apply to sumbit a paper to JIBE, you must first have an account with jibe-journal.org or one of JIBE's publishers' websites. If you already have an account with one of our publishers websites, iabe.org or iabe-doi.org, click the Login button below. If you do not have an account, setting one up is free and easy. Simply click the Sign Up button bellow. * If a paper has been accepted for publication but the author is from a low developed country, the IABE will waive the publication fee. Janikan Supanvanij, St. Cloud State University, U.S.A.
Ednaldo Silva, RoyaltyStat®, Bethesda, Maryland, U.S.A.
George Andreopoulos, City University of New York, U.S.A.
Giuliana Campanelli Andreopoulos, William Paterson University, U.S.A.
Keith Hoyte, William Paterson University, U.S.A.
Alexandros Panayides, William Paterson University, U.S.A.
Scroll down to find links to and information about each organization that JIBE is indexed with. The Australian Research Council (ARC) is responsible for administering Excellence in Research for Australia (ERA), Australia’s national research evaluation framework. ERA identifies and promotes excellence across the full spectrum of research activity in Australia’s higher education institutions. ERA is a comprehensive quality evaluation of all research produced in Australian universities against national and international benchmarks. The ratings are determined and moderated by committees of distinguished researchers, drawn from Australia and overseas. The unit of evaluation is broadly defined as the Field of Research (FoR) within an institution based on the Australia and New Zealand Standard Classification (ANZSRC). ERA is based on expert review informed by a range of indicators. The indicators used in ERA include a range of metrics such as citation profiles which are common to disciplines in the natural sciences, and peer review of a sample of research outputs which is more broadly common in the humanities and social sciences. The set of discipline-specific indicators has been developed in close consultation with the research community. This approach ensures that the indicators used are both appropriate and necessary, which minimizes the resourcing burden of ERA for Government and universities and ensures that ERA results are robust and broadly accepted. EconLit includes the most sought-after economics publications including peer-reviewed journal articles, working papers from leading universities, PhD dissertations, books, collective volume articles, conference proceedings, and book reviews--all expertly indexed, classified, and linkable to full-text library holdings. Students and professionals at all levels rely on EconLit's broad scope and authoritative, up-to-date coverage with nearly 1.3 million records and coverage as far back as 1886. Nearly 65,000 entries are added each year. 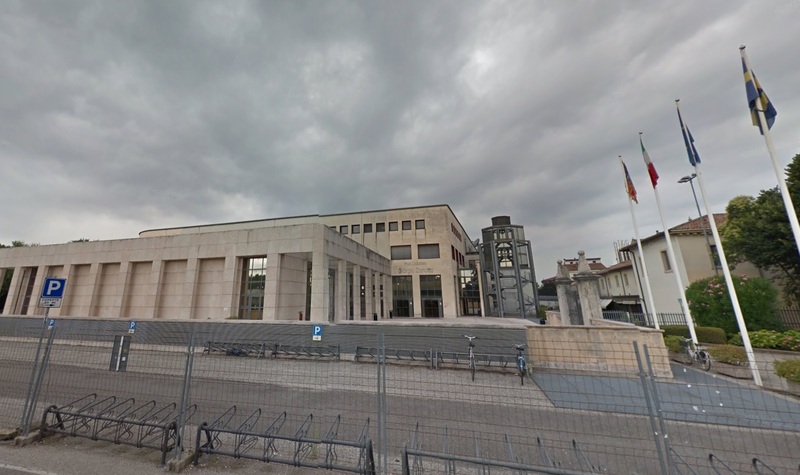 ANVUR (Agenzia Nazionale di Valutazione del Sistema Universitario e della Ricerca) is the Italian National Agency for the Evaluation of the University and Research Systems. ANVUR was established by a 2006 law with the objective of improving meritocracy in Italian academic research. It was based on Aeres in France and the Research Excellence Framework (REF) in the United Kingdom. ANVUR began to compile its assessment of Italian research, the "VQR" (eValuation of the Quality of Research) in November 2011, assessing 95 universities, 21 research agencies or institutes, and 17 inter-university consortia. EBSCO HOST offers premium content through databases, e-books, journals and magazines, and more, as well as a versatile discovery tool for searching across all library resources. EBSCO's content and feature-rich technology platforms serve the needs of researchers at all levels, whether they access EBSCO products at academic institutions, schools, public libraries, hospitals and medical institutions, corporations or government institutions. Ulrich's™ is the authoritative source of bibliographic and publisher information on more than 300,00 periodicals of all types academic and scholarly journals, Open Access publications, peer-reviewed titles, popular magazines, newspapers, newsletters and more from around the world. It covers all subjects, and includes publications that are published regularly or irregularly and that are circulated free of charge or by paid subscription. The ICI Journals Master List database contains over 22,000 journals, including 3,000 from Poland. Journals that are registered with Index Copernicus have undergone a multidimensional parameterization successfully. As a confirmation of the indexation in our database journals receive the ICV (Index Copernicus Value). For many years, the evaluation of scientific journals has been conducted through an analysis of every published issue, on the basis of both journal’s declaration in an application form and hard copies – full versions – of evaluated journals, delivered to the Index Copernicus Office. This is the only comprehensive journal evaluation in this part of Europe – fully based on facts and Index Copernicus archives consisting of original issues of the evaluated journals for a current as well as past years. Experts, who take part in evaluating and formulating the criteria of the process deal with bibliometrics, analysis of scientific achievements and productivity on a daily basis. The VHB is the German Academic Association for Business Research and pursues the development of business research and business studies as an academic discipline at universities. While the VHB is a registered association under German law, it represents the German-speaking region rather than only Germany. VHB membership includes most of the university professors of business research in Germany, Austria and Liechtenstein as well as the German-speaking parts of Switzerland and Italy. The main objective of the association is to foster research and education in business and management, as well as providing a platform for members, practitioners, and domestic and foreign institutions with similar objectives. The Research Bible (ResearchBib) Journal Database is the largest complete journal database available on the internet freely. Its Journal Database tries to cover all open access scientific and scholarly journals that use an appropriate quality control system, and it will not be limited to particular languages or subject areas. The aim of the Journal Database is to increase the visibility and ease of use of open access scientific and scholarly journals thereby promoting their increased usage and impact. The Journal Database contains 420,000+ journals from different publishers, which includes the title, abbreviation, journal host url, index, publisher, description (aims and scope), online issn and print ISSN etc. CNKI is a leading provider of academic resources, solutions and knowledge service to all types of customers around the world. Its headquarters is located in Beijing, China. CNKI was started in 1995 as a national project and has since become the largest aggregator and distributor of academic digital resources in China. Since 1996, CNKI has built the China Integrated Knowledge Resources Database, integrating more than a dozen resource types, such as Chinese and foreign academic journals, theses & dissertations, conference proceedings, newspapers, patents, standards, reference works, and books. So far we have integrated over 95% of Chinese academic resources. With over 25,000 institution users and over 20 million registered individual users, CNKI now provides comprehensive and customized services that cover a wide spectrum. CNKI has established copyright cooperation with over 400 international publishers and has integrated over 50,000 journals on its cross-language search platform. Norwegian Centre for Research Data (NSD) is one of the largest archives for research data of its kind and provides data to researchers and students in Norway and abroad. Additionally, NSD is a resource centre, which assists researchers with regard to data gathering, data analysis, and issues of methodology, privacy and research ethics. The main objective is to improve possibilities and working conditions for empirical research that is primarily dependent on the access to data. To fulfil this objective NSD works to reduce financial, technical, legal and administrative barriers between users and data resources. I want to submit my paper to the Journal of International Business and Economics (JIBE), does it fall within the scope of the journal? 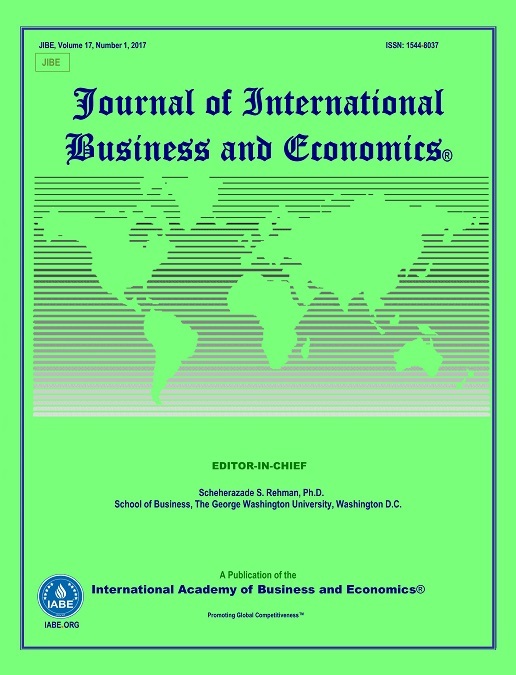 The scope of the Journal of International Business and Economics (JIBE) includes the following topics: International Economics, International Trade, Electronic Commerce, Taxation, Cost-Benefit Analysis, Business and Economic Forecasting, Competing in Global Markets, Business Ethics, National Markets, Regional Economic Issues, and Emerging Markets. Is JIBE an indexed journal? JIBE is indexed with and included in Excellence in Research for Australia (ERA), ECONLIT, American Economic Association, ANVUR, EBSCO Publishing, Ulrich's International Periodicals Directory, Index Copernicus, VHB, Research Bible, OCLC, NSD, and CNKI. Is this journal a refereed journal? Yes, JIBE is a refereed journal. It uses a double blind review process. 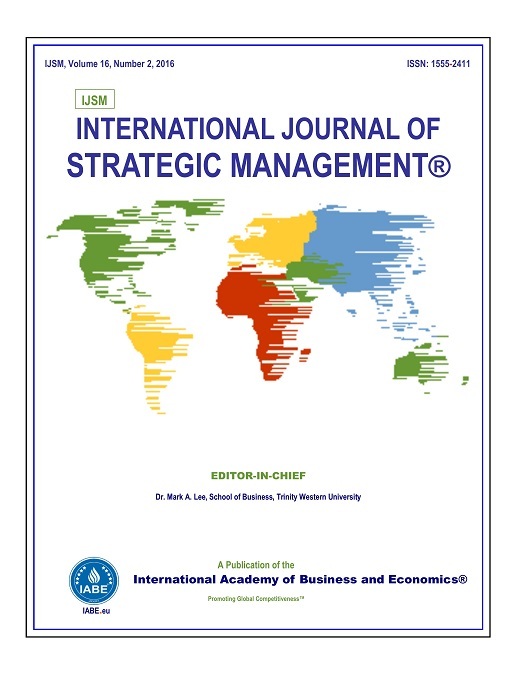 Yes, JIBE is published both in print (ISSN: 1544-8037) and online (e-ISSN: 2378-9174) versions. Is JIBE an open-access journal? No, JIBE is a subscription journal. Each article published in JIBE is assigned a DOI link through CrossRef. Anyone can follow the link to a page that has the title, author information, abstract and an option to purchase electronic or printed copies of the article or the journal issue containing the article. What type of paper does JIBE publish? JIBE publishes original papers, review papers, conceptual framework, analytical and simulation models, case studies, empirical research, technical notes, and book reviews. Does JIBE publish special issue? Yes, special issues devoted to important topics in business and economics will occasionally be published. Who is the publisher of JIBE? 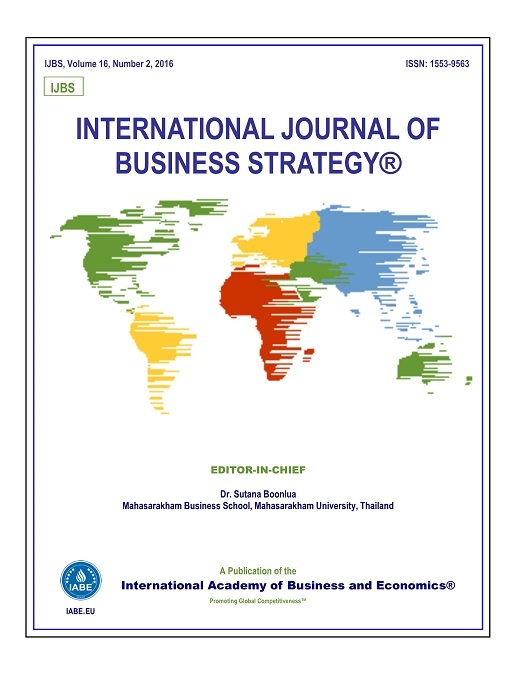 JIBE is published by International Academy of Business and Economics (IABE), USA. I want to submit my paper to JIBE. How should I submit it? to navigate to the Paper Submission Page. Does JIBE have ‘manuscript submission guidelines’? to access the Submission Guidlines. Is there any page limit of the paper? There is no word/page limit in a paper, but the paper should not exceed 30 pages (double space, 12 fonts). The editorial board is highly committed to a quick review process of the paper, but not at the expense of the quality of the journal. The review process usually takes between 4 and 8 weeks. Does JIBE require any publication fee? If the paper is accepted for publication, author(s) will be asked to pay $75 USD plus $35 USD per page. Author(s) will receive one copy of the printed journal (one printed copy is provided regardless of the number of the authors). Authors can also get additional copies of the printed journal by paying 60 USD for each additional copy. What is the acceptance rate of papers? My paper has been accepted for publication. How can I pay the publication fee? I want to know about the copyright policy of JIBE. to access the copyright policy. I want to subscribe to JIBE. How can I place an order? What is the frequency of publication of JIBE? There are 2 issues of JIBE published each year. They publish in March and October. The tile must be clear and concise and provide information about the content of the paper. For every author, state the complete name and organization affiliation. There are no rules about the number or order of authors. It is assumed that all authors have equal contributions to the manuscript. If this is not the case, complete the “COAUTHORS DECLARATION FORM” and specify this in the manuscript. The abstract will provide concise information about the content of the manuscript, the methodology used, the results and conclusions. Specify up to 5-6 words that provide the reader with information about the article. The keywords will help the reader to find relevant articles in his research/interest domain. The introduction will mention briefly the aspects that will be discussed in the article. According to the paper title, abstract and keywords the author will present the views of various researchers on the topic discussed, their own research methodology, the current state of research and the results. Each paper must present the research results and ideas for further research. At the end of the paper, include author profile(s), not exceeding five lines for each author, including the author’s name, highest degree/university/year, current position/university, and major achievements. Select Letter 8.5” x 11” size portrait ONLY. No Landscape formats are permitted. Set all margins to 1” and headers/footers at 0.5” each. Use Arial 10 point font, single-spaced lines, full-justified style in MS Word. All data Tables/Figures must be in Portrait format ONLY. • Paper title, not to exceed two lines, must be CAPITALIZED AND CENTERED IN BOLD LETTERS. • List of Authors, one line per Author. Specify the name and university/organizational affiliation of each author in the list. • Do NOT include titles such as, Dr., Professor, Ph.D., department, address, email address etc. • Use the word ”ABSTRACT” in capitalized bold letters, left-justified, and double-spaced from the last author’s name/affiliation. The Abstract should be in italic. • After abstract, write any Keywords for your paper. • Please see the sample manuscript. All references listed in this section must be cited in the article and vice-versa. The reference citations in the text must be enclosed in parentheses within sentences with the author name followed by a comma and the year of publication. All tables, figures or charts must be inserted in the body of the manuscripts within the margins with headings/titles in centered CAPITALIZED BOLD letters. The Table lines must be printable to print the Table. All references listed in this section must be cited in the article and vice•versa. The reference citations in the text must be inserted in parentheses within sentences with author name followed by a comma and year of publication. Journal Articles Khade, Alan S. and Metlen, Scot K., “An Application of Benchmarking in Dairy Industry”, International Journal of Benchmarking, Volume 3, Number 4, Pages 17•27, 1996. Books Harison, Norma and Samson, D., Technology Management: Text and Cases, McGraw•Hill Publishing, New York, 2002. Internet Hesterbrink, C., E•Busines and ERP: Bringing two Paradigms together, October 1999; PricewaterhouseCopers., www.pwc.com. At the end of the paper, include the author profile(s), not exceeding five lines for each author. Specify the author’s name, highest degree/university/year, current position/university, and major achievements. Dr. Tahi J. Gnepa earned his Ph.D. at the University of Wisconsin, Madison in 1989. Currently he is a professor of international business at California State University, Stanislaus, and Managing Editor of the Journal of International business and Economics. Footnotes are not allowed. Do not insert page numbers for the manuscript. All pages will be in PORTRAIT format only. (No Landscape formats are permitted.). Please do not forget to run a spelling and grammar check for the completed paper. IABE reserves the right to edit/alter the manuscript. Detailed process to submit a manuscript for journal. 1. In order to submit a manuscript you need to have a user account on our website. 2. To create a user account, please follow the link: http://www.iabe.org/domains/iabeX/CreateNewWizard.aspx. 3. If you already have an account, please use your User ID and password to log on to our site. There is no fee to submit a paper for peer review. If a paper is accepted, the author(s) has/have the option to publish the paper. The publication fees consist of a $75 processing fee and a $35 per page publication fee. In order for the International Academy of Business and Economics (IABE) to publish and disseminate research articles, we need publishing rights. These rights are granted to the IABE by the author through the JOURNAL PUBLISHING AGREEMENT. This agreement transfers the copyright to the IABE while allowing the author to retain significant rights to use, share, disseminate their articles and maximize the impact of their research. • Share their article for Personal Use, Internal Institutional Use and Scholarly Sharing purposes, with a DOI link to the version of record. • Retain patent, trademark and other intellectual property rights (including research data). The manuscript of an Article that has been accepted for publication and which typically includes author-incorporated changes suggested during submission, peer review, and editor-author communications. The Accepted Manuscript should not be added to or enhanced in any way to appear more like, or to substitute for, the Published Journal Article. The Accepted Manuscript should include a link to the formal publication through the relevant DOI. • to substitute for the services provided directly by the publisher – for example article aggregation, systematic distribution via e-mail lists or share buttons, posting, indexing or linking by commercial companies for use by customers of such companies (e.g. pharmaceutical companies and physician-prescribers). Use by the author's institution for classroom teaching at the institution and for internal training purposes (including distribution of copies, paper or electronic, and use in course packs and courseware programs, but not in MOOCs – Massive Open Online Courses) and inclusion of the Article in applications for grant funding. For authors employed by companies, the use by that company for internal training purposes. Use by an author in the author’s classroom teaching (including distribution of copies, paper or electronic) or presentation by an author at a meeting or conference (including distribution of copies to the delegates attending such meeting), distribution of copies (including through e-mail) to known research colleagues for their personal use, use in a subsequent compilation of the author’s works, inclusion in a thesis or dissertation, preparation of other derivative works such as extending the Article to book-length form, or otherwise using or re-using portions or excerpts in other works (with full acknowledgment of the original publication of the Article). Author’s own write-up of research results and analysis that has not been peer reviewed, nor had any other value added to it by a publisher (such as formatting, copy editing, technical enhancements, and the like). Preprints should not be added to or enhanced in any way in order to appear more like, or to substitute for, the Published Journal Article. The definitive final record of published research that appears or will appear in the journal and embodies all value-adding publisher activities including peer review co-ordination, copy-editing, formatting, (if relevant) pagination, and online enrichment. Sharing of Preprints by an author on any website or repository at any time. When the Article is accepted, the author is encouraged to include a link to the formal publication through the relevant DOI. The author can also update the Preprint on arXiv or RePEc with the Accepted Manuscript. the author may share a link to the formal publication through the relevant DOI. Additionally theses and dissertations which contain embedded Published Journal Articles as part of the formal submission may be hosted publicly by the awarding institution with a link to the formal publication through the relevant DOI. Any other sharing of Published Journal Articles is by agreement with the publisher only. Authors should submit only manuscripts that contain original research based on original ideas, results, data, etc. In order to submit a manuscript, you need to have a user account on our website. 1. All entities who contributed to the article, including research funders and all organizations that collected or processed data or provided any other assistance. 2. All persons who made significant contributions to the manuscript must be included in the list of authors. There are no rules about the number or order of authors. It is assumed that all authors have equal contributions to the manuscript. If this is not the case, complete the “COAUTHORS DECLARATION FORM” and specify this in the manuscript. 3. When completing the “COAUTHORS DECLARATION FORM” present the authors according to the importance of their contribution, starting with the author with the highest contribution. 4. If the manuscript is realized in collaboration with additional persons who, while not fulfilling the criteria of authorship, did contribute to the work, these persons must be named in the “COAUTHORS DECLARATION” form, listing their names and specifying their contributions. • A person can be added to or deleted from the list of authors. • Every author named in the manuscript must consent to the change. • If the request comes between the submission and review period, the editor and publisher will ask some clarification about how the “Coauthor declaration” was completed and obtain the required consent prior to making the change. • If the request comes after the manuscript is published, publishers with managing editor will verify the consent of the coauthors and then try to find the best resolution to the problem. All submitted manuscripts must be original and must include the result of the author’s research. By submitting a manuscript to be revised and to be published in the journal/ proceeding or to be presented in an IABE conference, the authors assume responsibility for the entire contents of the manuscript. By submitting a manuscript for review, the author takes the responsibility that the manuscript is presented in the final version, is original, does not contain elements of plagiarism and there are no conflicts of interest from the author. If elements of plagiarism are detected, the author is legally liable for all damages. • For citation, use quotation marks for paragraphs taken verbatim from a source and then give detailed information about the source that you use. • For paraphrase, present in your own words concepts, major ideas, or a summary phrase followed by an indication of the source or sources that you used. • Mention each instance where your scientific research is using another source. • Provide information about tables, graphs and figures when you import them from other sources. • Provide all information about the source (author, title, name of publication, number, volume, pages, date of publication). • Indicate in the reference section all sources that you use in your research. You can use different types of sources: printed sources (books, magazines, journals, articles, etc. ), electronic sources (website, online articles, etc.). • To submit only the original manuscript that contains new ideas, research, data, etc. • To submit only the manuscript that is no longer considered for publication by other journals and has not previously been published. 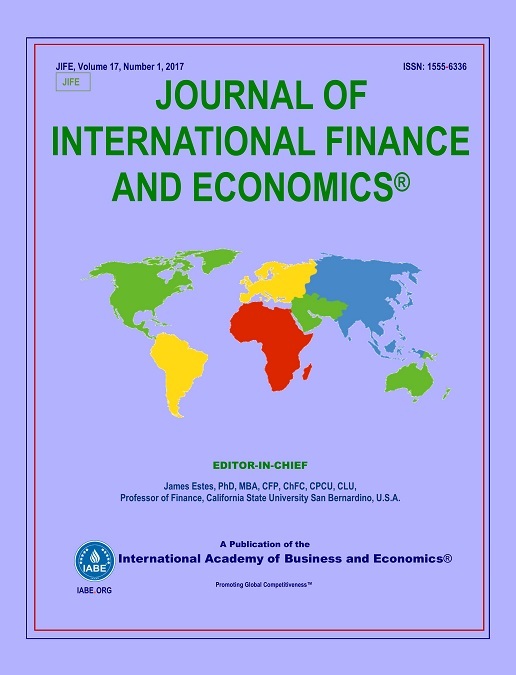 The Journal of International Business and Economics (JIBE) is a peer reviewed journal published by the International Academy of Business and Economics (IABE). The JIBE Editorial Board is inviting all papers relating to the following topics.
. Please also note that, as part of the application, you will be prompted to submit your resume. In order to apply to be a Reviewer, you must first have an account with jibe-journal.org or one of JIBE's publishers' websites. If you already have an account with one of our publishers websites, iabe.org or iabe-doi.org, click the Login button below. Otherwise, you can create an account by clicking the Sign Up button bellow. Based on standards established by editors, reviewers will ensure the double-blind peer-review process. 1. Read the article critically in order to identify the structure, the methodology, and the data used to support conclusions. 2. Examine the data used in the research, the methodology and the conclusion. 3. Identify relevant publications from multiple sources regarding the analyzed manuscript. 5. Complete the evaluation form and transmit it to the editor. • Reviewers will not ask for the identity of the authors. • Reviewers will always use the same standards to evaluate every manuscript. • Reviewers will not take into consideration any recommendation of the editors regarding acceptance or rejection of a manuscript. • Reviewers will not make any changes to the manuscript. They will only suggest changes to the author. • Reviewers will be objective in their evaluation. • Reviewers will respect the editors’ terms for returning the evaluation form. In case of delay, please inform the editor. • A Reviewer will inform the editor if he or she is not qualified to review a particular manuscript. IABE allows reviewers to submit manuscripts. In such cases, the editors must send the manuscript to different reviewers for the double-blind peer-review process. The manuscript will be sent to those reviewers by different editors and, also, the final decision regarding whether the article will be published or not, will be made by different editors. Reviewers will work together with the editors and publisher to find the best solutions and to attract the best manuscripts and authors in the economic field. The aim of this journal is to certify that the reader will receive a quality research article. In order to accomplish this, it is necessary to subject the entire publishing process to rigorous quality control. The author must submit original articles, publishers must submit the manuscript to experienced reviewers, the reviewers should pay particular attention to the revisions of the manuscript and the publisher must ensure that articles are published based on the recommendations of reviewers and editors. Considering that, based on the reviewers’ analysis of a manuscript, it may or may not be published, reviewers’ activities have a special importance in the academic world. • Reviewers will keep confidential all information from the manuscripts they review. • Reviewers will not use any data, theories, or conclusions from any manuscript for their own purpose and will not reveal to anyone the contents of any paper they review. • Reviewers will not ask for the identity of the author. At all times this information is to remain confidential. • Reviewers should disclose any conflict of interests to the editor before starting the review process. • Reviewers should inform the editor if they are not qualified for the manuscript distributed to them. • Before asking for another certified opinion, reviewers must request permission from the editor and they must provide detailed information about the outside experts. In order to apply to be a Editorial, you must first have an account with jibe-journal.org or one of JIBE's publishers' websites. If you already have an account with one of our publishers websites, iabe.org or iabe-doi.org, click the Login button below. Otherwise, you can create an account by clicking the Sign Up button bellow. Journal editors play an important role in establishing the editorial policy and increasing the quality and the visibility of the journal. Editors' responsibilities are to regulate both the activity of authors and reviewers. Editors are also responsible for the quality of scientific papers provided by the journal in the scientific community and for general readers. • Set standards for the review process in order to ensure the integrity of the evaluation process. The evaluation process will be double blind peer review. • The manuscript will be accepted without any improvement. • The manuscript will be accepted with minor revision. • The manuscript will be accepted with major revisions. In this case, the authors must make all the requested changes and resubmit the manuscript for evaluation by a new reviewer. 2. Recommendation not to publish. The manuscript is rejected based on the recommendation of two reviewers. Authors have the right to receive all the reviewer comments if they require this. IABE allows editors and board members to submit manuscripts. In these cases, the review and final decision regarding publishing of the manuscript must be made by a different editor. To ensure readers that all articles from our journals present original and accurate information, the editors need to follow some principles. Editors’ decisions should not be influenced by personal, commercial or political factors. Editors are obliged to disclose any conflict of interest. If any article published in the journal contains an error as reported by readers, authors, etc., the editors will publish corrections. If any article published in the journal is found to be fraudulent, the editors will proceed to retract the article. Editors should create Professional and Ethical Standards for authors to guide the authors in their activity and decisions. Editors will never be involved in the double blind review process. they will decide based only on reviewers’ recommendations. Editors will intervene during the peer-review process only when needed to mediate and alleviate conflicts between authors and peer reviewers. All manuscripts will be treated as confidential documents by all persons involved in the publication process. As of 2013, all articles published in the Journal of International Business and Economics are assigned DOI's and have individual article webpages. You can search through these articles here. Each article displayed in the result section will include a "DOI" link that you can click to go to a specific article's page. The one year subscription rate for the Journal of International Business and Economics is $700.00 USD. You can subscribe by mail by downloading our subscription form here and following the instructions on the form. You can also subscribe online and pay for your subscription with paypal. To subscribe online, you must first have an account with jibe-journal.org or one of JIBE's publishers' websites. If you already have an account with one of our publishers websites, iabe.org or iabe-doi.org, click the Login button below. Otherwise, you can create an account by clicking the Sign Up button bellow. If you have previsously used this online subscription form, you can login below anytime to check the status of your order. This journal will only publish high quality studies and original research, after a rigorous evaluation through a double blind peer review process. • To ask permission from IABE in order to reproduce parts from an article or to republish any material published by IABE. At the moment of publishing, the author transfers exclusive publication rights to IABE. • Keep confidential all the information from manuscripts. Reviewers will not use any data, theories, conclusion of the manuscript for their own purpose and will not reveal this information to anyone. The IABE has a responsibility to provide only quality academic research articles to the public. In order to ensure the credibility of scientific articles published in our journals, it is necessary to pay special attention to any conflicts of interest that may arise in the process of publishing. Conflicts of interest can occur when a person (author, editor, or reviewer) is impeded from acting impartially because of a relevant personal, financial, intellectual, or political relationship with another person or organization. IABE requires all authors, editors, and reviewers to declare any conflicts of interest that may affect their decisions. At the moment of submission, authors are responsible for recognizing and disclosing any conflicts of interest. Authors must specify all potential conflicts of interest, including personal or financial affiliations and relationships with persons or organizations that funded or otherwise supported the research, including persons who collected or processed data. Editors will disclose any potential conflict of interest related to their activity for the journal. They will not be involved in any decisions related to the article in which a conflict of interest exists. If necessary, editors will require statements about conflicts of interest from the authors. The editors will not be influenced in their decisions regarding any manuscript by IABE. If a reviewer identifies a potential conflict of interest, he or she will inform the editor about this situation and will not continue to review the manuscript. When a conflict of interest is disclosed, the article must contain a phrase that describes the conflict. Plagiarism represents a violation of academic ethics and one aim of IABE is to eliminate unethical behavior. Plagiarism represents the exposure in a scientific research of paragraphs, ideas, data, procedures, methods, theories or scientific results derived from other scientific research papers, without mentioning this and without making any reference to the original sources or intellectual property of the author. Self-plagiarism occurs in situations when the content of an article shows similar content to other articles written by the same author. • For citation, use quotation marks for paragraphs taken verbatim from a source and then give detailed information about the source of the quote. • For paraphrase of concepts, major ideas, or a summary phrase in the author’s own words, the paraphrase must be followed by an indication of the source or sources used. IABE condemns any form of plagiarism and aims to identify and reject all scientific works that include elements of plagiarism. IABE uses expert reviewers with vast experience in order to identify and prevent any form of plagiarism. Additionally, the IABE uses iThenticate to identify any form of plagiarism. By submitting a manuscript to be revised and published in the journal/ proceeding or to be presented in an IABE conference, the authors assume responsibility for the entire contents of the manuscript. By submitting a manuscript for review, the author takes responsibility that the manuscript is presented in the final version, is original, does not contain elements of plagiarism and is free from any conflicts of interest on the part of the author. Copyright protects original articles, research, etc. from use without first receiving permission from the other person. Manuscripts or cases submitted for publication should be original contributions and should not be under consideration for any other publication at the same time. Authors submitting manuscripts/cases for publication warrant that the work is not an infringement of any existing copyright, infringement of proprietary right, invasion of privacy, or libel. Authors further indemnify, defend, and hold IABE or sponsor(s) harmless from any damages, expenses, and costs against any breach of such warranty. For ease of dissemination and to ensure proper policing of use, manuscripts/cases and contributions become the legal copyright of IABE unless otherwise agreed to in writing. At the moment of publishing, the author transfers exclusive publication rights to IABE. In order to reproduce parts from an article, authors need to obtain written permission from IABE. It is also necessary for every author to ask permission in order to republish any material published by IABE. Authors should know that at the time of subscription they need to meet all legal obligations regarding the manuscript. If, either on their own, or through correspondence with members of the scholarly community, the managing editor of the Journal of International Business and Economics concludes that an article meets one or more of the following conditions, the article will be retracted. 1. The managing editor will contact the Author(s) and/or their institutions to give them the chance to investigate and respond to any concerns about the article. 2. If the managing editor is not satisfied with the response from the author(s) and/or their university, the following steps will be taken. • The articles DOI webpage will be modified to include a retraction note. • The electronic version (.pdf) of the original article will also be modified to include a watermark indicating that the article has been retracted. • The next issue of the journal will include a retraction note giving article title, author list, the DOI link to the original article, and the reason for the retraction. The retraction note will be placed in the paginated portion of the journal and reference in the table of contents. Publicity policy aims to promote professional practices in advertising. IABE reserves the right to periodically revise this policy in order to maintain a high degree of quality of information provided by our journals, brochures, and website. • Advertisement will not contain inaccurate information and will provide all relevant information about the product or service presented. All information will be clear and understandable. • Discriminatory posts of any kind are prohibited. • Subliminal advertising is prohibited. Subliminal advertising is defined as advertising that uses messages too weak to be perceived consciously but that can influence the economic behavior of a person. • The company that promotes the products or services must be identified in the content of the advertising message. • Advertisements must be clearly distinguishable from the scientific content of the journal. • IABE will publish advertisement messages/logo on separate pages from those that contain scientific content. • IABE will not disclose to any entities the identities of persons or companies that have any relations (connection) with this professional organization. • The advertiser is responsible for all content of advertising (slogans, illustrations, messages, logo, etc.). IABE will not be liable in any way for the content of any advertisement supplied by an advertiser. • IABE will pay attention to all complaints concerning advertising offered by all means and try to resolve the complaints, appealing to experienced professionals and experts from the advertising and law fields. In order to preserve the scientific character of the journals, IABE will accept to publish on the front cover of every journal only the name /logo of the universities, colleges, or organizations from the economic field sponsoring the journals. In order to promote educational programs of the sponsoring university/college/ organizations, IABE will insert one full-page advertisement about these entities. IABE does not allow any other form of advertising in the journal. IABE can include in the content of the Conference Program an advertisement of a university or college and for certain categories of products that promote economic and financial services. IABE reserves the right to accept or reject any advertisements that would damage the IABE image or have a negative impact on IABE activity. During conference breaks, IABE may allow some promotional brochures to be distributed to participants, provided that the content of these brochures has been previously analyzed and approved by IABE. Depending on the location of the conference, IABE may allow the use of posters and banners for advertising purposes. All advertising materials must be approved by IABE prior to the conference. It is possible to promote different entities that are related to our academic activities on IABE.org, including Universities, colleges, and financial, economic, and educational organizations. • We invite you to nominate one of your faculty members to join as managing editor of the sponsored journal. We encourage your university to assist your nominee for managing editor with some administrative support. • A link from the IABE home page to your university/college home page will reach our global membership for the duration of your sponsorship. • We will acknowledge your sponsorship of the journal during a luncheon at the IABE annual conferences. • We offer you complementary issues of the journal each year during the sponsorship period. • We invite the Dean of your School/College to attend the IABE Annual Conference during the sponsorship period (without the regular registration fee). We are open to your suggestions with regards to these benefits. The iThenticate software checks papers against millions of published scholarly works, and billions of web content. Authors, researchers and freelancers can also use the iThenticate system to screen their work before submission by visiting ithenticate.com. All articles pulbished in JIBE are archived with Portico. Portico is among the largest community-supported digital archives in the world. Working with libraries and publishers, Portico preserves e-journals, e-books, and other electronic scholarly content to ensure researchers and students will have access to it in the future. © 2019 JIBE-JOURNAL.ORG. All Rights Reserved.